Today I want write down some lessons learned from my research about CDNs (=Content delivery network) for a high volume and high traffic site. What does I mean with high volume and high traffic site, let’s take a moment to take a look to the statistics. 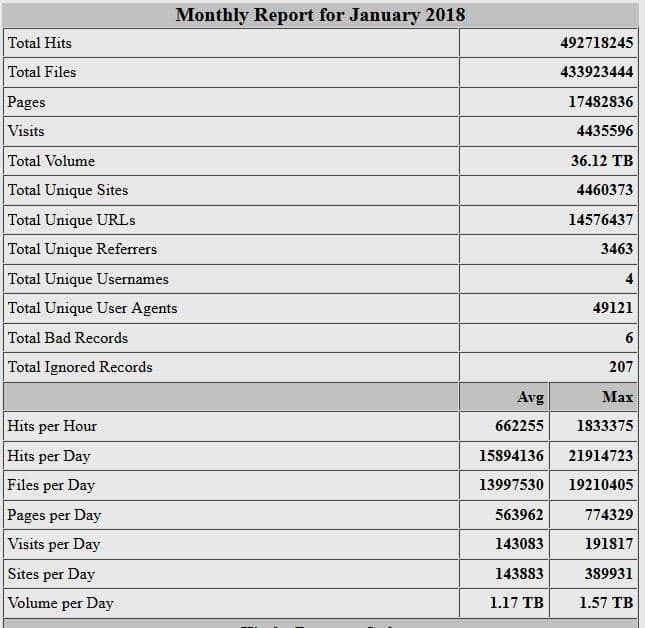 I have researched on the internet for different CDNs which are able to handle this amount of traffic and does not have to high per month costs. This is not a complete list of all available CDNs in the world, it’s just what I have decided to go. Every candidate have a pricing page, except akamai. Based on this pricing pages have I created a overview of the candidates. This are my own observations and I’m open for freedback via any social media channel below. I use netlify for several pages. In fact you read this blog on netlify ;-) The solution is rock solid and the setup to bring a site online very easy. I decided to take a look into the cloudflare setup to see what I can get. From my point of view are the following features necessary to have a high available setup. I end up with this formula which looks pretty high. I have not used this CDN. The Price is from chat with support, I say thank you M. for your help. I have not used this CDN. Fastly have the best calculater from my point of view. You just need to go to the website put the numbers there and you got your price. Thanks fastly for that easy answer to the cost question. I have not used this CDN. Based on the LeaseWeb CDN page have I calculated the costs with this formula. I have used the ovh server but not the CDN. Based on there CDN InfraStructure page is the 100 TB package the one which fits best for my requirements. I will calculate different hosting provider and compare the own CDN with the prices here. It is not easy to build your own CDN because you will need at least three Servers with accurate Bandwidth. In general are the CDNs very helpfully and solves the problem of single point of failure (=SPOF) in some cases are the costs not low. I will now research how much a solution with on prem server costs. I’m happy to receive any feedback via any social media channel below. I have decided to start my own company in 2017. So, I was looking for a solution for the company’s website. Nowadays it’s quite easy to get a domain and a hosting provider. So, I looked for the platforms to build the site and Hugo caught my eyes. I wanted to use it. But I didn’t have the time to dig into the Hugo templates, because I must run my company to earn money for a living 😀 in 🇦🇹. A lot of enterprise applications are not yet cloud-ready or even designed as micro-services. Due to this fact, session stickiness is required for a lot of the enterprise Applications. Let me explain how OpenShift Enterprise (= OCP) and origin can help you solve this topic for you. In the current time is prometheus THE monitoring and alerting tool. I describe here how you can setup the node_exporter on a Raspbian based Solution. I have asked me several times which scripts can I call in OpenVPN. The documentation is very detailed but it’s big and not intend to be a step by step tutorial, AFAIS (=As far as I see). I write this blog post for me and all others which have the same issue.